Tonight we had a warm Salmon salad with an invented dressing I’ve called Red Nut Dressing. The salad is adaptable, so use whatever you have on hand, such as baby tomatoes, asparagus, rocket etc. 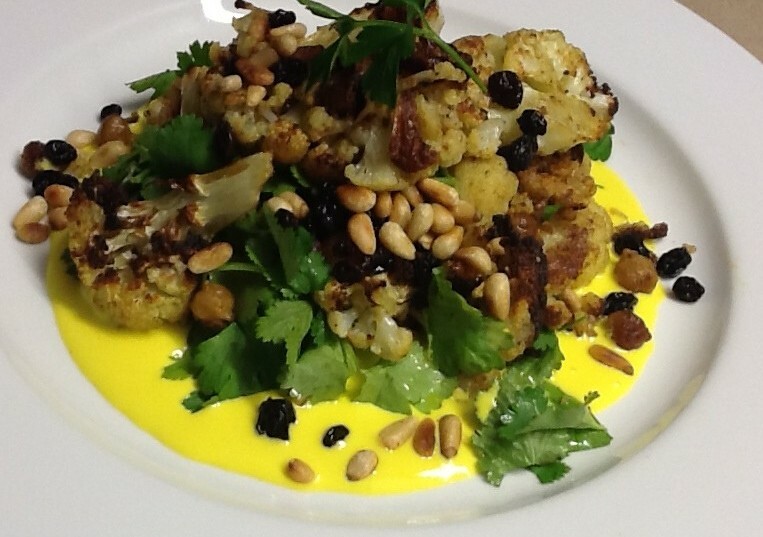 A perfect dish for an early summer evening with a glass of chilled Sauvignon Blanc. To make dressing place all ingredients in a food processor and process until chunky-smooth. Tip into a jam jar with a lid. Place salad ingredients except avocado and salmon in a salad bowl. Meanwhile lightly season salmon and pan fry in the 1 Tbs olive oil until cooked to liking. It won’t take more than about 3 minutes each side (depending on thickness) and is nicer if still pink in the middle. Cut salmon into chunks. Shake dressing then add enough to the salad to moisten. Mix well and divide between two individual salad bowls. 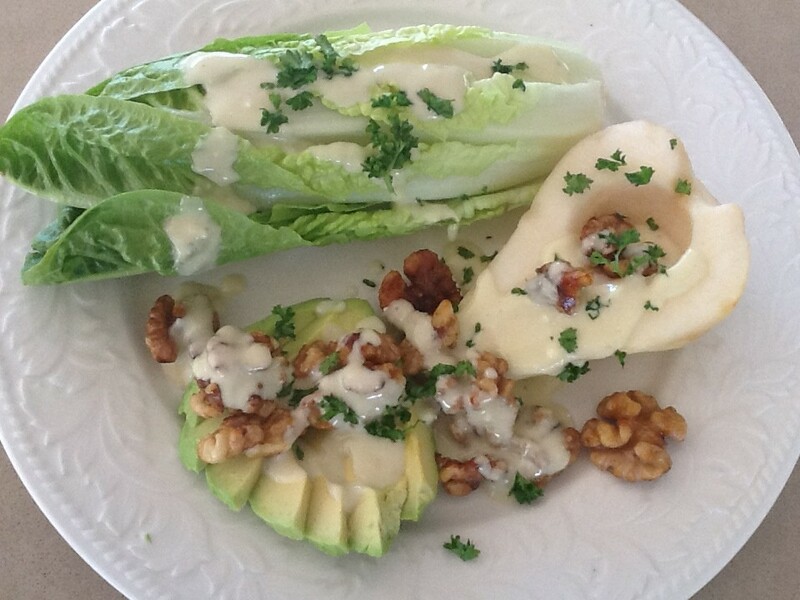 Arrange the avocado slices and salmon chunks on top, then spoon over a little more dressing. There will be some left over. Notes: the walnuts need to be fresh otherwise they can be bitter. If in doubt substitute almonds or pine nuts. If preferred, leave the salmon in one piece and just place it on top. 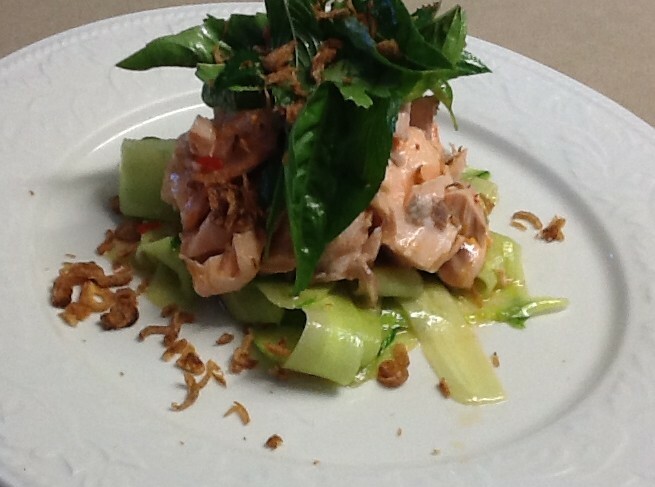 This entry was posted in Recipes and tagged salad, salmon by Linda Peek. Bookmark the permalink.